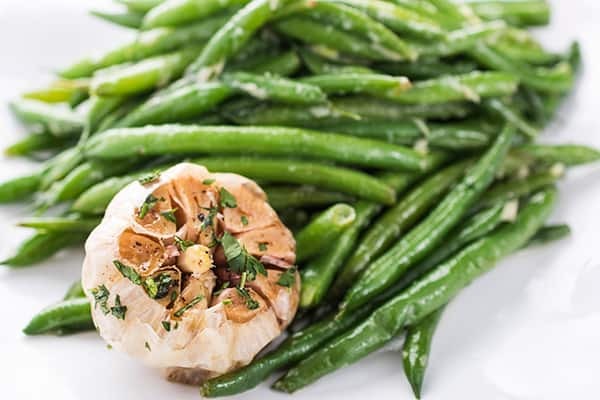 A quick and easy veggie side dish recipe, steamed green beans are tossed with roasted garlic and fresh lemon juice. Weeknight side dish recipes can quickly get into “rut territory”, am I right? 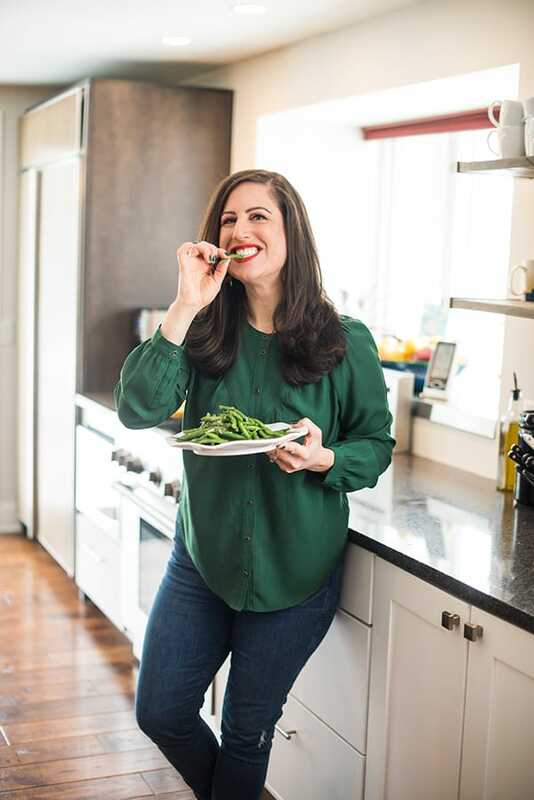 You know what I’m talking about – where you cook the same two or three vegetables, in the same exact way, night after night, almost on autopilot. 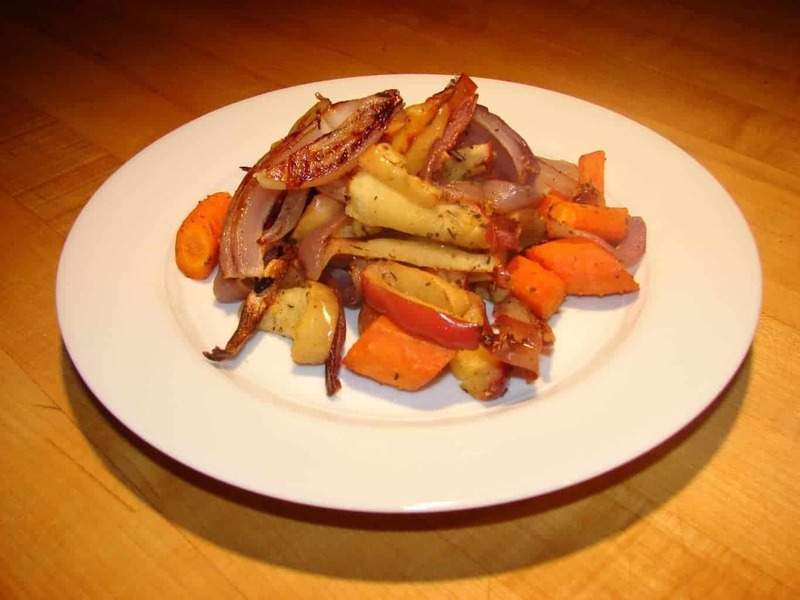 While there’s nothing wrong with sticking to easy cooking techniques you’re familiar with, there are a few easy ways you can transform a ho-hum side dish into something magical. My secret weapon? Roasted garlic! 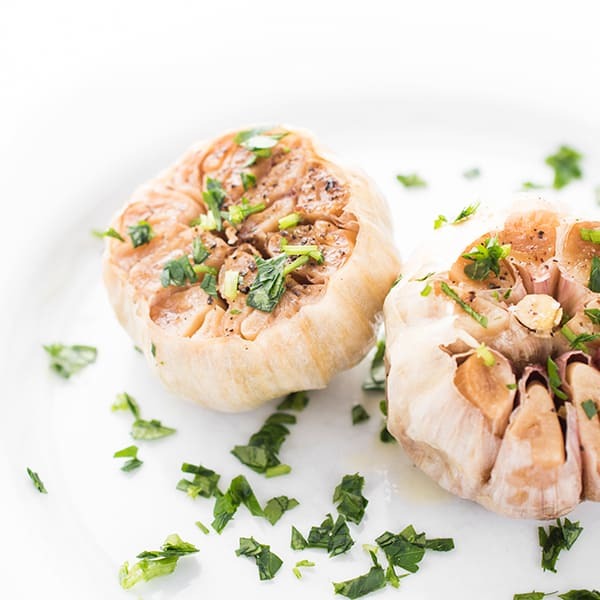 Easy to make and full of flavor, you simply drizzle a whole head of garlic with olive oil, salt and pepper then roast until sweet, soft and caramelized. 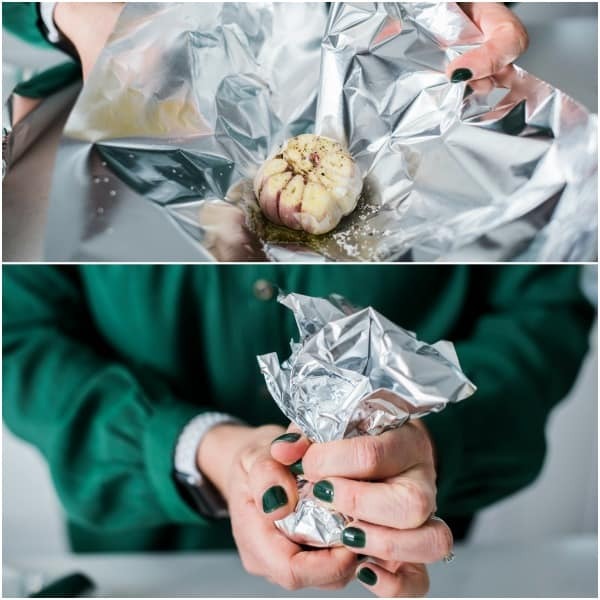 Follow my step-by-step tutorial on how to roast garlic cloves in the oven to learn how to make yourself! 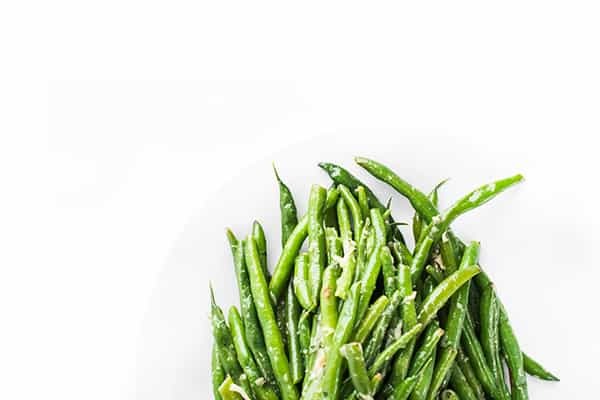 Once you’ve roasted up a bunch of garlic cloves, they are perfect for tossing in with steamed veggies (such as these green beans! 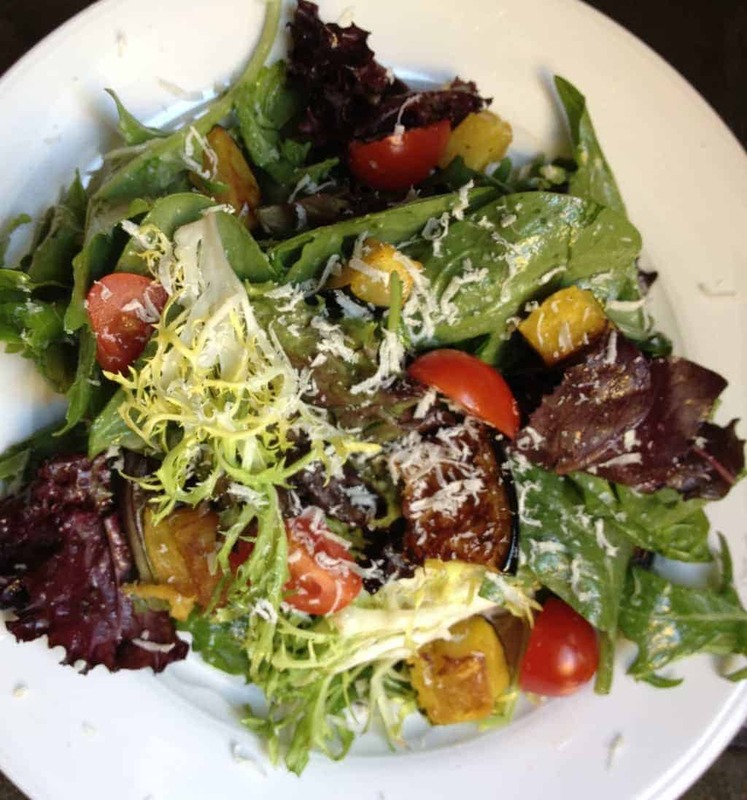 ), pasta, soups, salad dressings and more. 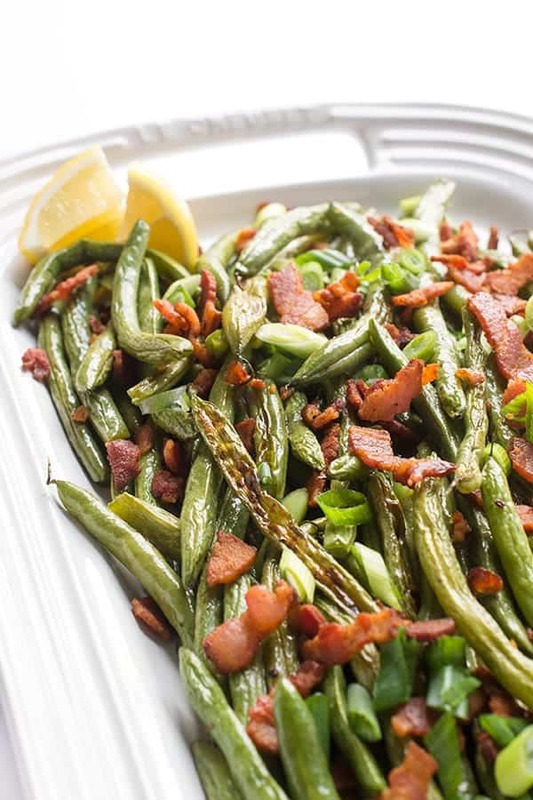 While we always love green beans (my youngest is obsessed! 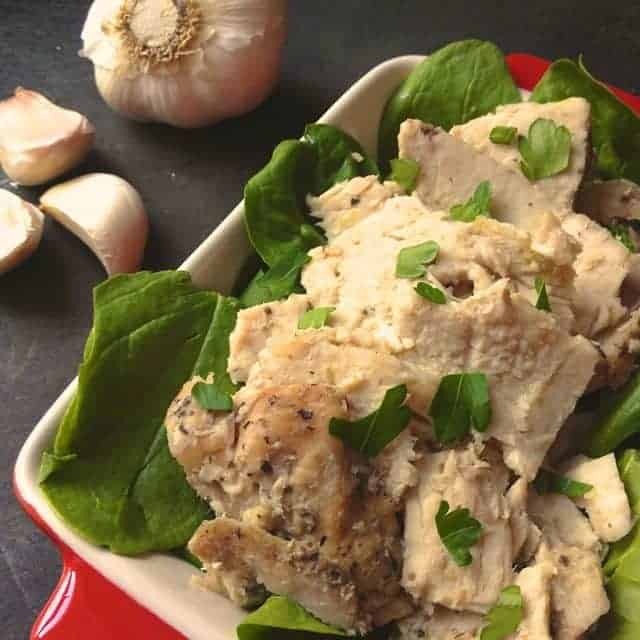 ), this recipe would work great with just about any vegetable you have on hand or is in season including asparagus, broccoli, cauliflower and more. For a bit of brightness and acidity, I also toss in a little fresh lemon juice. 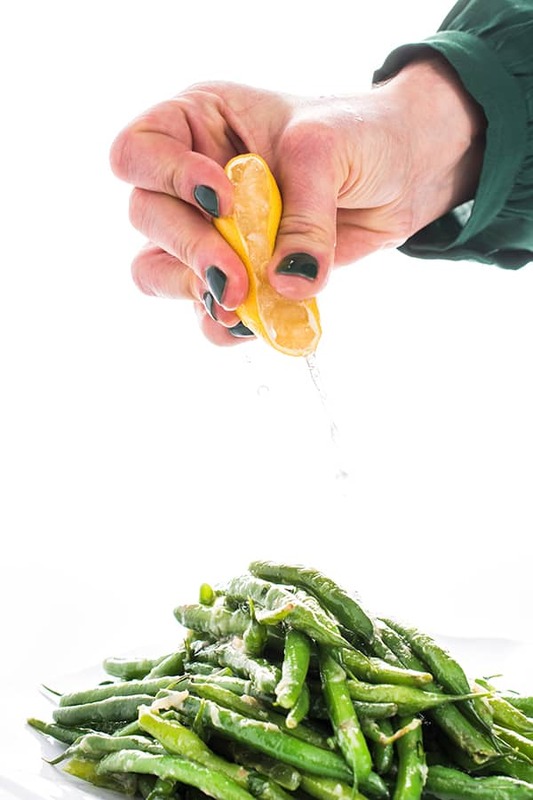 If you don’t have any on hand, rice vinegar or lime juice or balsamic would work well also. Place a steamer basket into a medium stock pot filled with 2-3 inches of water. 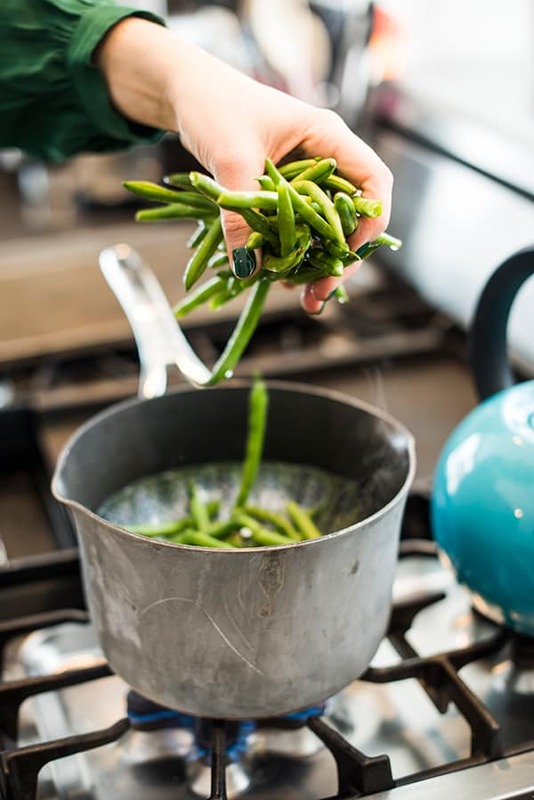 Bring water to a boil then place green beans on top of steamer basket. 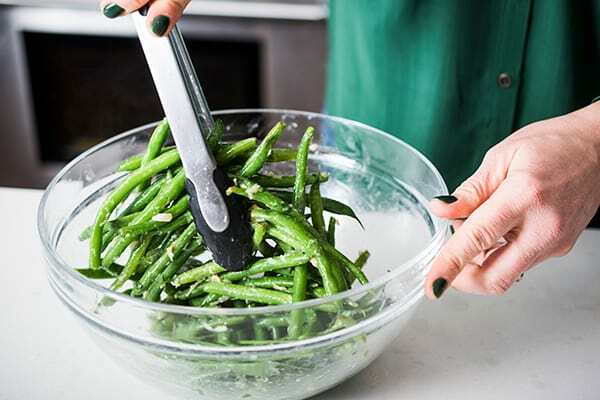 Cover pot with lid and steam until green beans are crisp-tender, about 5-6 minutes. 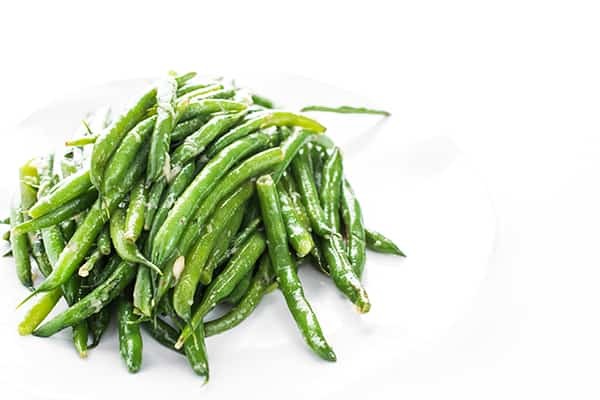 Toss steamed green beans with roasted garlic, lemon juice, salt and chili flakes. 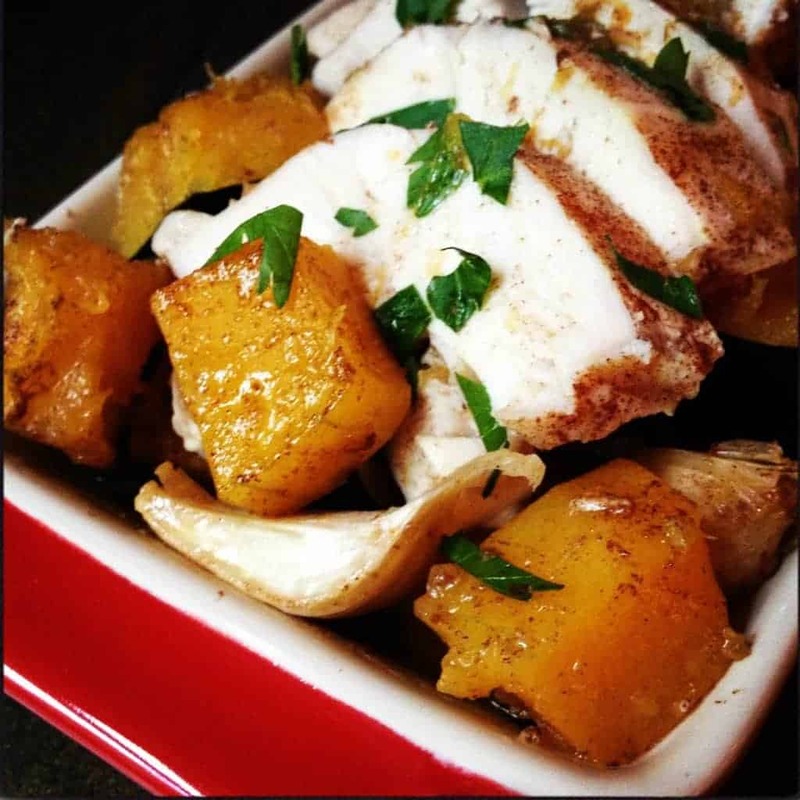 Want more scrumptious side dishes? Check out my Pinterest board!